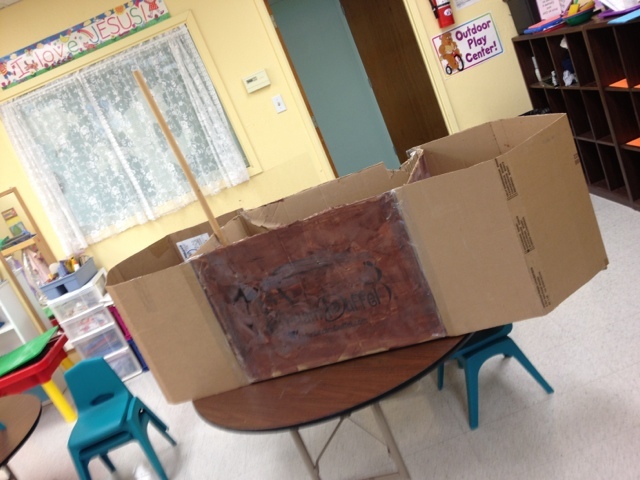 The children painted the ship black and brown and they also painted the port holes gold, I assembled the ship. 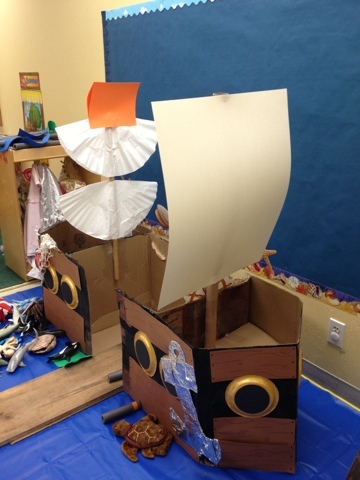 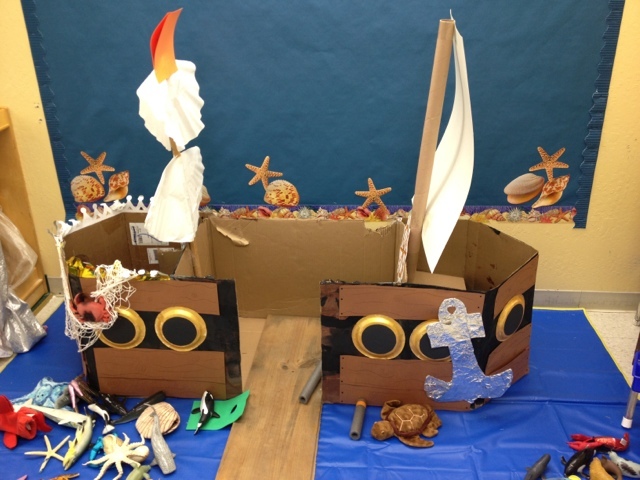 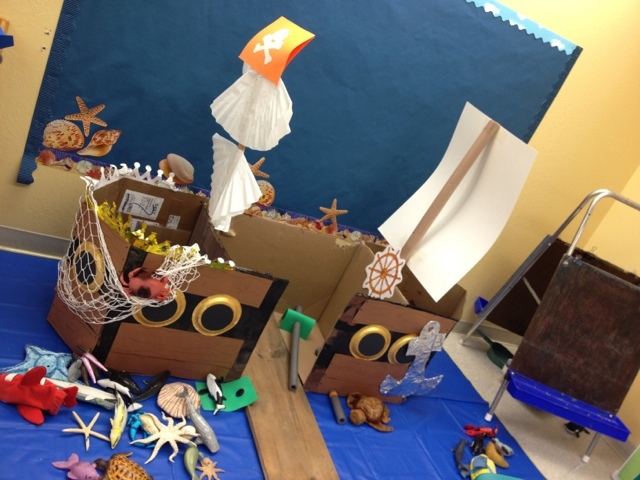 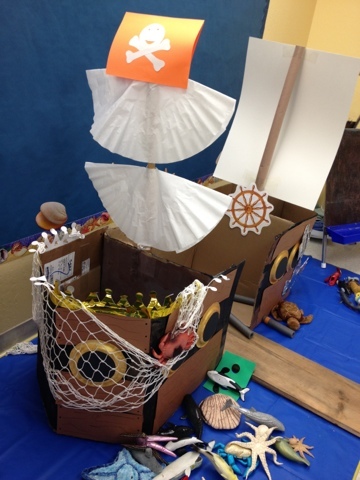 Each classroom was challenged to build a class pirate ship I thought this was not bad for the 2 year old's, we also had very limited supplies and no budget for this project just had to use things we already had. 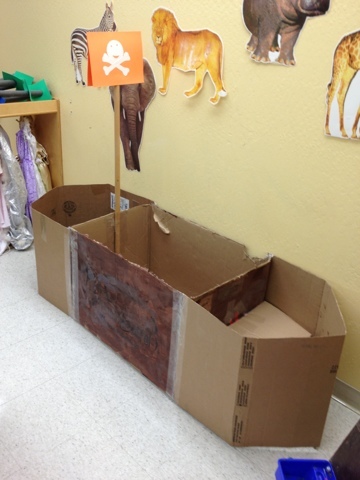 Also we made swords and telescopes using foam tubes for insulating pipes. 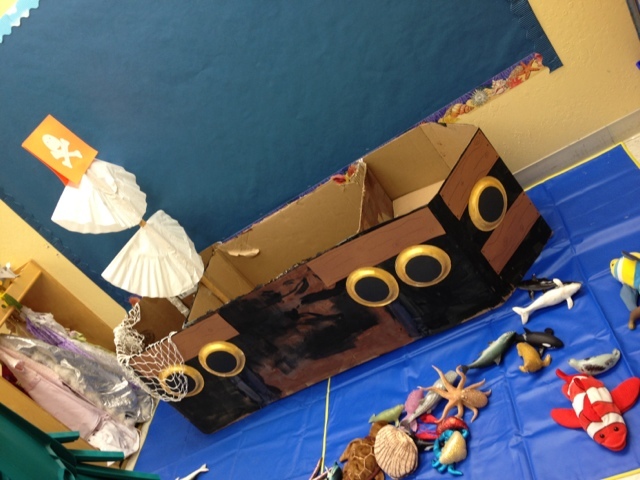 You can see some on the floor in the pictures.